External cockpit steering driven by cable system. The internal pilothouse steering is hydraulic. All standing and running rigging renewed in 2015. A solid blue water boat in aluminium. Airy accommodation with great external visibility. 110 metres of 12mm anchor chain. Raymarine radar in cockpit and Furuno in pilothouse. Chart plotter in pilothouse nav station is laptop connected to GPS with world charts downloaded. It is easy for a serious yachtsman to fall in love with this boat. Firstly she is built in aluminium and her appearance is clean and pleasing to the eye. This yacht has everything required for blue water cruising such as HF communications with Pactor modem, generator, water maker and solar panels. She looks and feels like a great sea boat. I especially like interior pilot house wheel which will make night watches in wet and cool weather dry and comfortable. This boat merits a viewing by anyone contemplating any long sea passages. Don't delay these opportunities don't often come up. 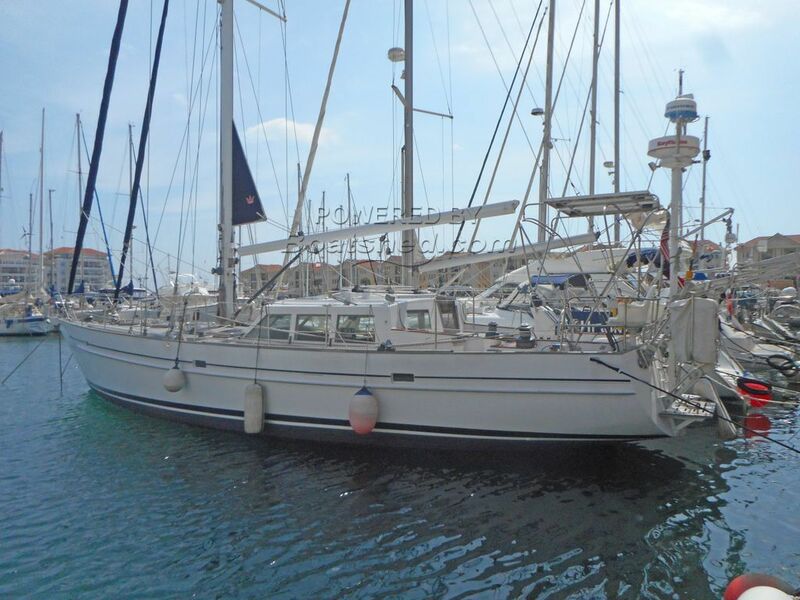 This Kanter 46 Pilot House has been personally photographed and viewed by John & Lynda of Boatshed Gibraltar. Click here for contact details. can you please tell us what caused the mess in the stern gland?